Glasgow, astride the River Clyde, is a surprising city — and Scotland's most underrated destination. 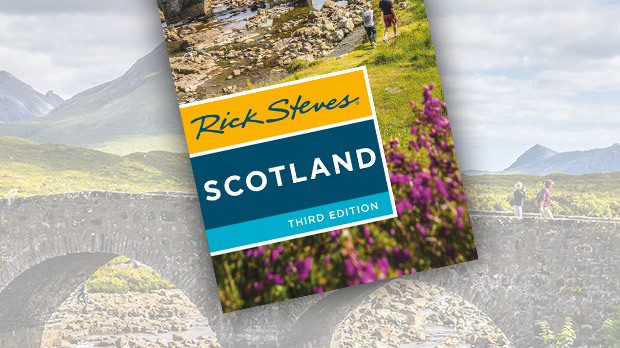 Just an hour from Edinburgh (making it an easy day trip), Glasgow offers an energetic dining and nightlife scene, fanciful architecture, and top-notch museums — most of which are free. Today, this once-run-down city feels revitalized, and Glaswegians (sounds like "Norwegians") are eager to give visitors a warm welcome. Locals here are some of the chattiest people in Scotland — and have the most entertaining (and impenetrable) accent. One once told me he was "British by passport, and Scottish by the grace of God." Their unpretentious friendliness makes connecting with people here a cinch. There's no upper-crust history, and no one puts on airs. In Edinburgh, people identify with the quality of the school they attended; in Glasgow, it's their soccer team allegiance. 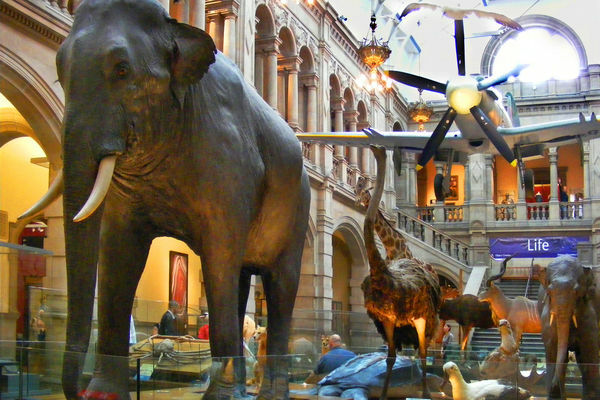 In its 19th-century heyday, Glasgow was one of Europe's biggest cities and the second-largest in Britain, right behind London. It was at the forefront of the Industrial Revolution, and is said to have produced a quarter of the world's oceangoing ships. After World War II, the city was hit with tough times, giving it a gritty image. But modern Glasgow is rejuvenating itself with a thriving cultural scene and its trademark knack for design and artsy edge. Glasgow tells its story throughout its vibrant streets and squares. At the heart of the city is George Square, decorated with a Who's Who of statues depicting great Scots, from top literary figures Sir Walter Scott and Robert Burns, to James Watt, who perfected the steam engine that helped power Europe into the Industrial Age. On the same square, in front of the City Chambers, stands a monument to Glaswegians killed in the World Wars. Architecture buffs flock here to appreciate the unique Glaswegian flair evident across the city's Victorian facades, early 20th-century touches, and bold and glassy new construction. Most beloved are the works by Glasgow-born architect Charles Rennie Mackintosh. During the late 1800s and early 1900s, Mackintosh brought an exuberant Art Nouveau influence to this otherwise practical, working-class city with his stimulating blend of organic shapes and Japanese-inspired design. You'll have several opportunities to experience Mackintosh's work in Glasgow. The Mackintosh at the Willow tearooms, dating back to 1903, are an Art Nouveau masterpiece where you can have a meal or tea, or pay to browse exhibits about the history of this place. During the industrial boom of the late 19th century, Victorian morals prevailed and the Scottish temperance movement was in full force. Tearooms like the Willow were designed to be an appealing alternative to pubs — places where women could visit unescorted, without risking an undesirable reputation. Across town, the Mackintosh exhibit at the Kelvingrove Art Gallery hosts a collection of the architect's works. 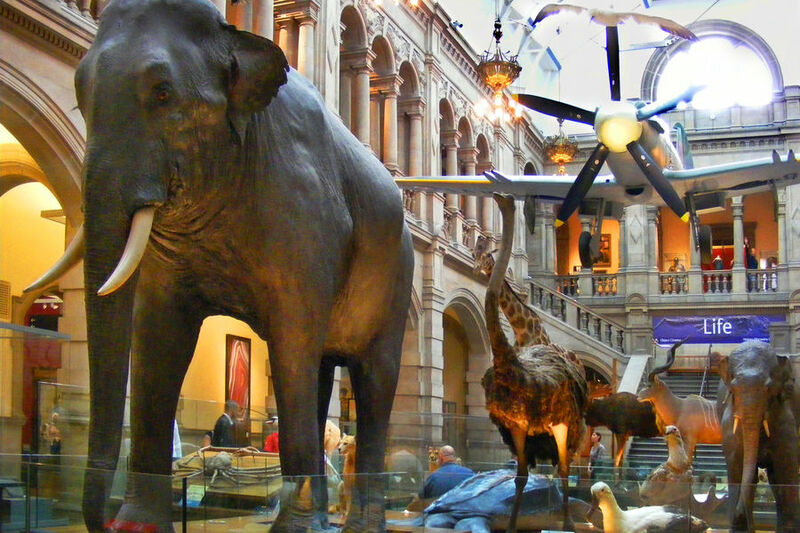 Housed in a grand, 100-year-old, Spanish Baroque-style building, the Kelvingrove is Glasgow's best museum — like a Scottish Smithsonian, with everything from natural history exhibits to fine artwork by the great masters. Glasgow's artsy vibe extends beyond its museums, permeating city streets with eclectic mural art. City officials have cleverly co-opted street artists by sanctioning huge, colorful murals around town to prevent tagging. This creative problem-solving is typical of Glaswegians — taking counterculture energy and turning it into something positive. There's even a city map available that traces the city's best mural art. 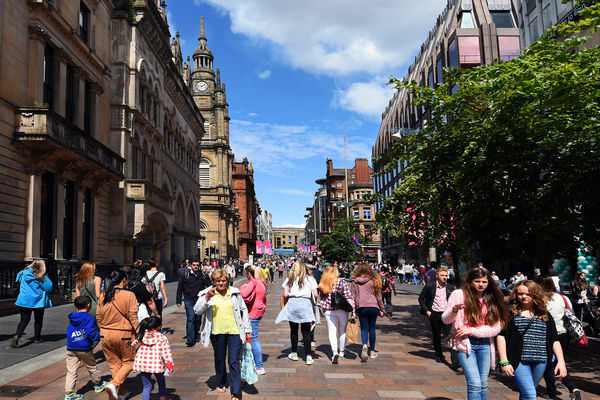 To feel the pulse of the city, head to busy Buchanan Street, nicknamed the "Golden Zed" (Brit-speak for "Z"), for the way it zigzags through town. And as home to the top shops in town, it's also dubbed the "Style Mile." This is the place to people-watch, gaze up at the elegant architecture above the storefronts, and enjoy the talented buskers that bring the boulevard to life. Live music is a major part of Glasgow's personality, and one of the best places to experience this is in the city's West End. I recently bellied up to the bar at the Ben Nevis Pub, where I expected to hear traditional Scottish music. But as the session got going, I was surprised to learn that the entire UK was represented in the band, with musicians from Northern Ireland, Wales, England, and Scotland. My Glaswegian friend pointed out that this is the fun reality of Glasgow, where tribes come together to make music. And that (as a microcosm of our world in general) is a beautiful thing.